The toxicological properties of this material have not been fully investigated. Get medical aid. Flush skin with plenty of water for at least 15 minutes while removing contaminated clothing and shoes. Get medical aid immediately. Remove from exposure and move to fresh air immediately. If not breathing, give artificial respiration. If breathing is difficult, give oxygen. Vacuum or sweep up material and place into a suitable disposal container. Wash thoroughly after handling. Remove contaminated clothing and wash before reuse. Use with adequate ventilation. Avoid contact with skin and eyes. Avoid ingestion and inhalation. Exposure Limits CAS# 6381-77-7: Personal Protective Equipment Eyes: Wear appropriate protective eyeglasses or chemical safety goggles as described by OSHA's eye and face protection regulations in 29 CFR 1910.133 or European Standard EN166. Odor: 5.5-8 @ 5% aq.sol. Strong oxidizing agents, strong bases, chemically active metals, aluminum, zinc, magnesium,copper. 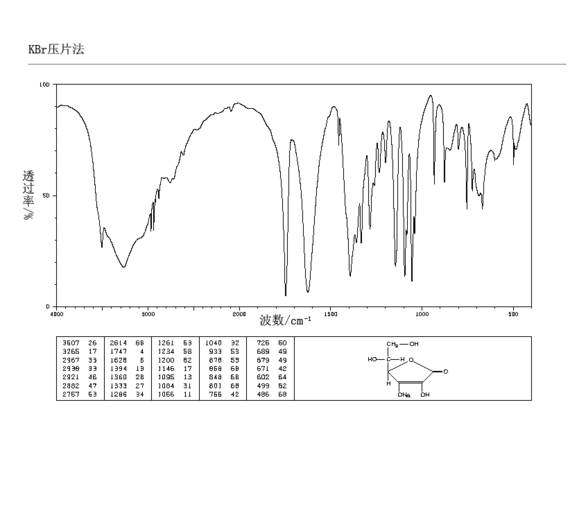 CAS# 6381-77-7: Draize test, rabbit, eye: 100 mg Mild; Oral, rat: LD50 = >5 gm/kg. D-(+)-ISOASCORBIC ACID, SODIUM SALT - Not listed by ACGIH, IARC, or NTP. CAS# 6381-77-7 is listed on Canada's DSL List. CAS# 6381-77-7 is not listed on Canada's Ingredient Disclosure List. CAS# 6381-77-7 is listed on the TSCA inventory.